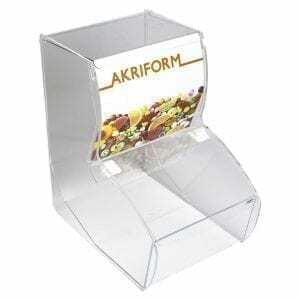 Akriform has the market’s widest range of complete solutions for Pick & Mix displays. 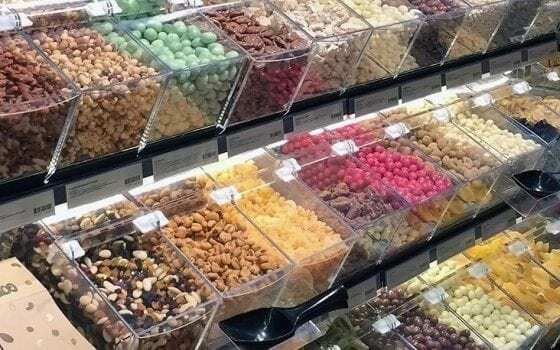 Our plastic bins and dispensers service a variety of bulk food categories, such as candy, nuts, dried fruit, coffee, tea and animal food etc. 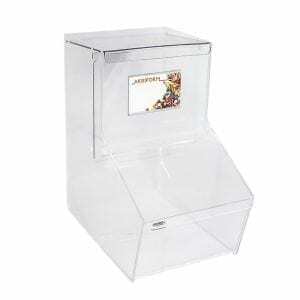 We offer innovative solutions with several different types of bins (both scoop bins and gravity bins), racks, top signs and lighting options. 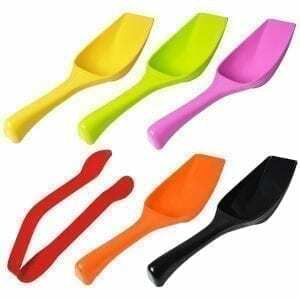 Accessories such as scoops, tongs, bag holders etc are also a part of our range of products. 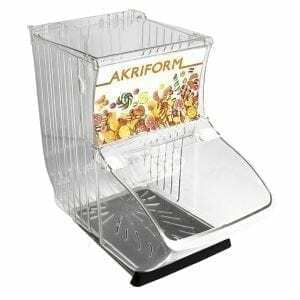 Akriform’s bulk merchandising solutions for Pick & Mix has been tested worldwide and has proven to drive sales, minimize operational cost, improve store presentation and optimize retail space. 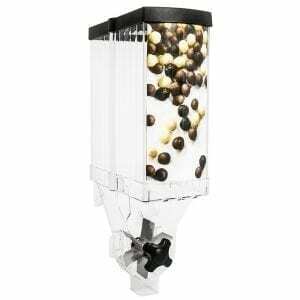 Among our customers are both large companies (food chains) and smaller candy stores. Our most popular systems are exported to countries all around the world. 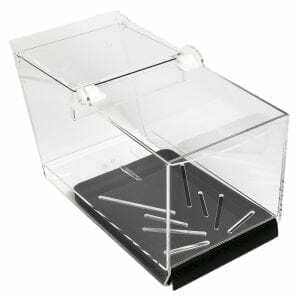 We can deliver anything from one plastic bin to complete “shop-in-shop” fixture solutions. 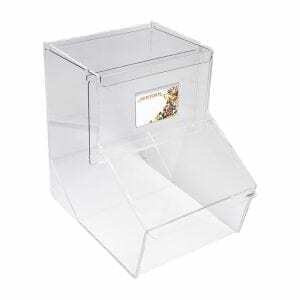 Space is a glued acrylic scoop bin with arched design. 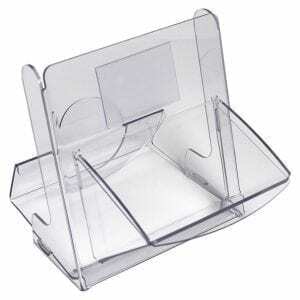 The bin has a curved front, slow-closing lid and large label holder. 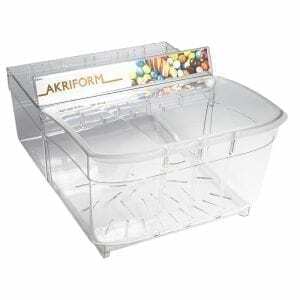 Maxi is a glued acrylic scoop bin in boot model. The lid can be fitted with our patended Sweetlock hinge, making it self-closing and quiet. View a selection of displays for inspiration.